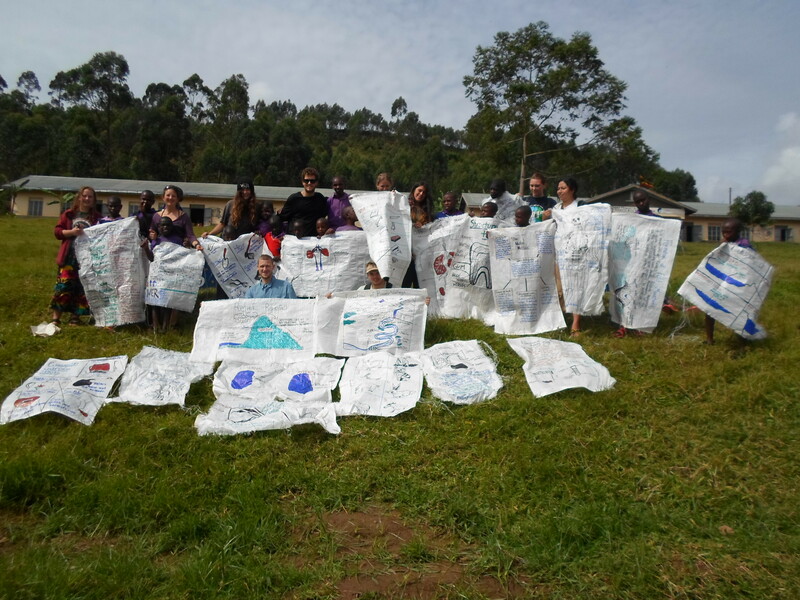 During their recent visit to the Special Needs Education Centre in Kitanga the Carpe Diem Group from Portland, Oregon, USA made some very useful learning posters for the classrooms. 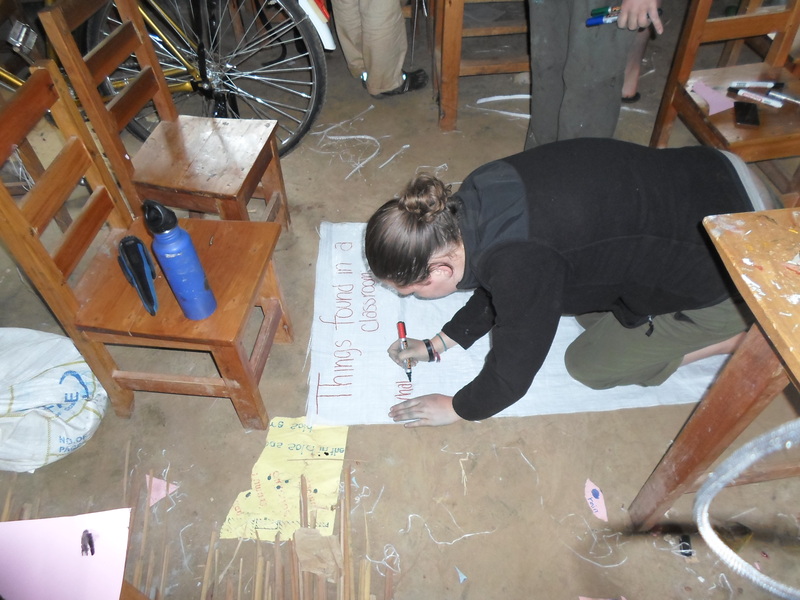 Creative materials are scarce in Uganda so they had to use white sacks and they did an amazing job! 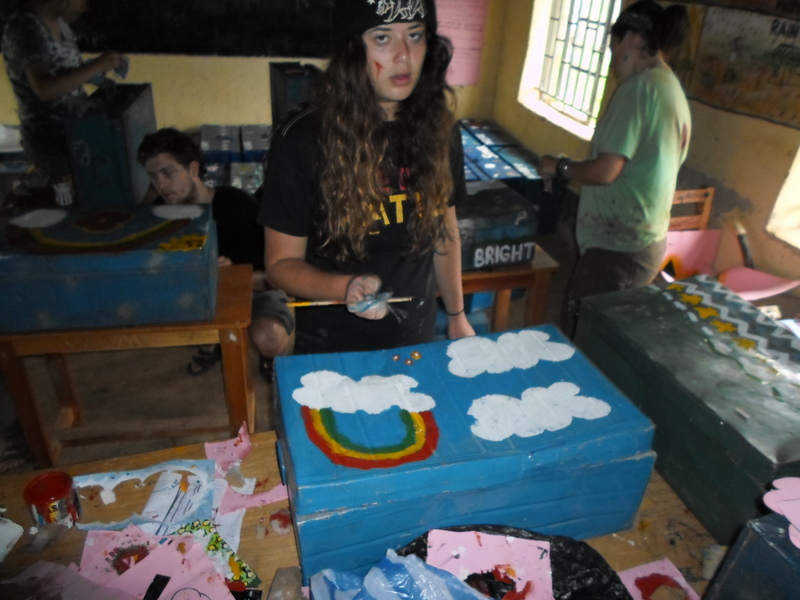 In addition they painted all the tin trunks for the dormitories. Some of the children had brought trunks from their homes but most had nowhere to keep their clothes or personal belongings. We provided the trunks and Carpe Diem provided the creativity! 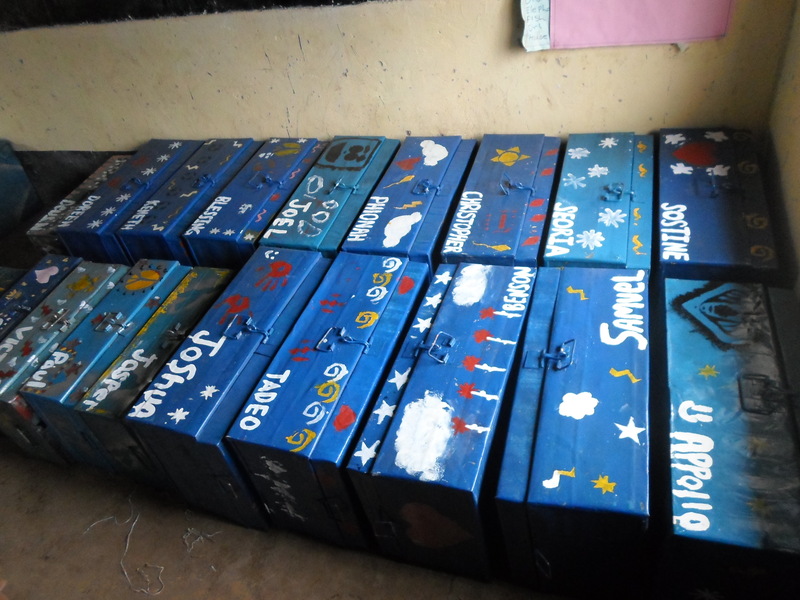 Now every child has their very own trunk with their name on it – colourfully painted by the students. 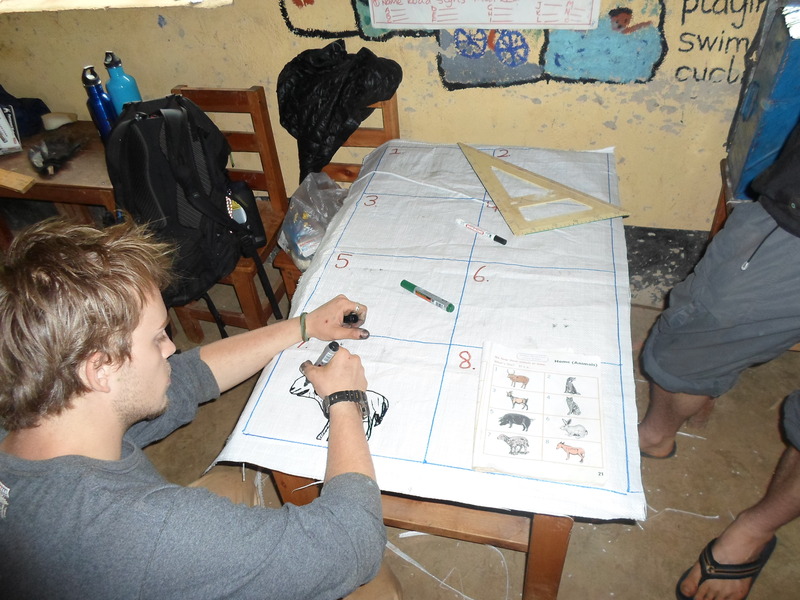 Once again we are very grateful to Carpe Diem for their continued support of the Special Needs Education Centre, we hope the group enjoyed their East African adventure and wish them all the best for the years ahead!